In this section a general overview is provided about each of the technical domains before discussing the actual equipments themselves. The readers of this book are not expected to be technologically savvy and the author felt that a general overview would provide a broader perspective and help put things into context. In the discussions where technical aspects are dealt with, the author has attempted to provide pointers that will help the readers to make an informed choice. They would nevertheless be well advised to talk to experts in the technical fields (hardware, networking and software) to procure and use the equipment that works best for the set of telemedicine services that they wish to offer. 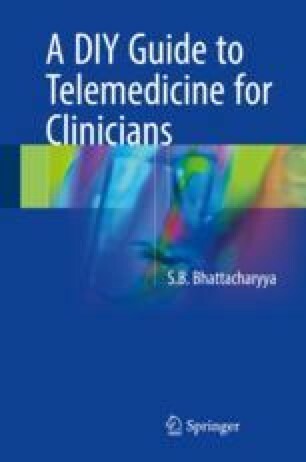 The author would however like to caution that most clinicians will find this chapter to be very challenging, in which case he wishes to inform them that no harm will come if they choose to give it all a miss.